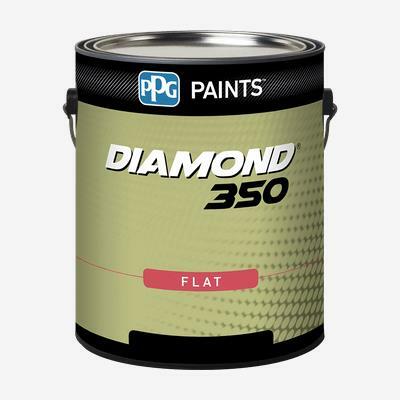 Diamond 350 Interior Latex is a premium wall and trim finish with excellent one-coat hide in most colors, durability, and burnish resistance. Use on properly prepared interior walls, ceilings, drywall, plaster, masonry, primed metal and wood. This finish is best for lower-traffic areas such as bedrooms, living rooms and family rooms.